Seven Marine, LLC warrants that new 2019 or later marine outboard power packages will be free from defects in material or workmanship for a period of three (3) years or 500 engine hours, whichever occurs first. This three-year warranty is limited to complete outboard power packages (outboard motor including rigging and other components supplied by Seven Marine) (the “Product”) in leisure-use,* as defined by Seven Marine. Any complete outboard power package purchased and utilized for commercial-use applications** will be warranted for a period of one (1) year, or 350 engine hours, whichever comes first. The limited warranty commences on the date of delivery to the first retail purchaser, when the Product has been operated for 25 hours, or on the first day of the 25th month from the date of shipment from Seven Marine, whichever occurs first, and applies only to warranty defects first arising and reported to Seven Marine or one of its authorized dealers during the applicable warranty period. Seven Marine products are eligible for this warranty coverage only if the Product has been registered with Seven Marine. Submission of the Product Registration Card, or other suitable dated proof of purchase, is required for registration and to obtain warranty coverage. SEVEN MARINE, LLC MAKES NO OTHER WARRANTY OF ANY KIND, EXPRESSED OR IMPLIED. ALL IMPLIED WARRANTIES OF MERCHANTABILITY AND FITNESS FOR A PARTICULAR PURPOSE WHICH EXCEED THE OBLIGATIONS AND TIME LIMITS STATED IN THIS WARRANTY ARE HEREBY DISCLAIMED BY SEVEN MARINE, LLC AND EXCLUDED FROM THIS WARRANTY. SOME STATES DO NOT ALLOW LIMITATIONS ON HOW LONG AN IMPLIED WARRANTY LASTS, SO THE ABOVE LIMITATIONS MAY NOT APPLY TO YOU. IN THE EVENT THAT IMPLIED WARRANTIES ARE FOUND TO EXIST UNDER THE LAW OF A PARTICULAR STATE, NOTWITHSTANDING THE EXCLUSION CONTAINED HEREIN, THE DURATION OF SUCH WARRANTY SHALL BE LIMITED TO THE DURATION OF THE APPLICABLE LIMITED WARRANTY STATED HEREIN. pre-delivery inspection labor, any parts expense, normal maintenance items, and/or routine adjustments. As a Seven Marine outboard engine owner, you are responsible for the performance of the required maintenance listed in your operator’s manual. Seven Marine recommends that you retain all receipts covering maintenance of your engine. This record of proper maintenance may be required to determine warranty coverage on certain repairs and should be transferred to each subsequent owner. While Seven Marine cannot deny warranty coverage solely for the lack of receipts or your failure to ensure the performance of all scheduled maintenance, Seven Marine may deny coverage if your Seven Marine engine or part has failed due to abuse, neglect, improper maintenance, or unapproved modifications. You are responsible for presenting your Seven Marine outboard or engine accessory product to a Seven Marine authorized dealer as soon as a problem exists and use all reasonable means to protect the product from further damage. Warranty repairs must be completed during the warranty period except upon the express, written authorization of a management-level employee of Seven Marine. If you have any questions regarding your warranty rights and responsibilities, you should contact Seven Marine, LLC, Seven Marine, LLC; W186N11676 Morse Dr.; Germantown, WI 53022. Our telephone number is (262) 502-7770. 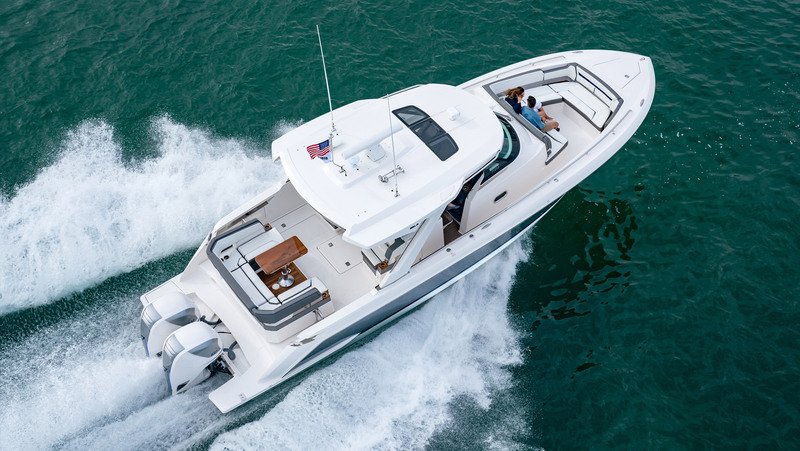 Transfer of the warranty from the original owner to any subsequent owner is possible by having the product inspected by an authorized Seven Marine Service Representative and submitting a change of registration request to Seven Marine within fourteen (14) days of the transfer. Seven Marine reserves the right to reject any warranty transfer that originates from any party other than an authorized dealer or for a product that has not been maintained pursuant to the Operator’s Manual recommendations, or has been damaged, neglected, or otherwise excluded. THE SELLING DEALER IS NOT AN AGENT OF SEVEN MARINE OR A CO-WARRANTOR, AND IS NOT AUTHORIZED TO AMEND OR MODIFY THIS LIMITED WARRANTY IN ANY MANNER. Any part of the Seven Marine outboard power package that is not covered by this warranty and that is found in the reasonable judgment of Seven Marine to be defective in materials or workmanship will be repaired or replaced at Seven Marine’s option. 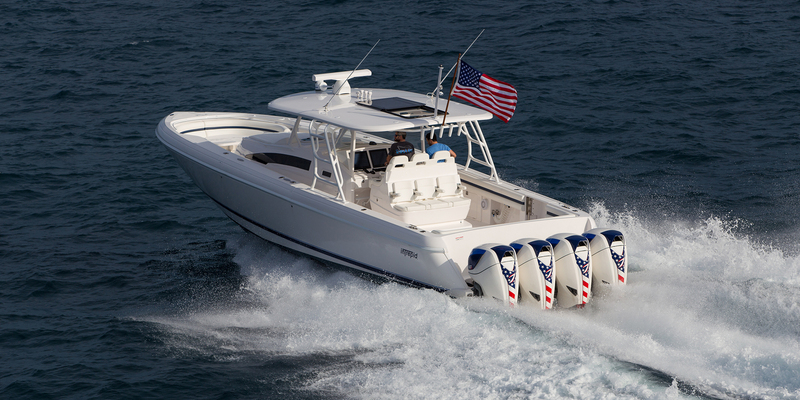 If a problem occurs, the owner must bring the product to an authorized Seven Marine dealer in a timely manner. All repairs (except those listed under What is Not Covered) will be made by an authorized Seven Marine dealer at no charge during the warranty period. The warranty repairs will be completed in a reasonable amount of time during normal business hours. Parts replacement will be made using genuine new or remanufactured Seven Marine parts. Seven Marine’s responsibility with respect to warranty claims is limited to making the required repairs or replacements. All parts will be shipped via standard ground methods. Components or parts provided under this warranty assume the identity of the Outboard or part being replaced, and are entitled to the remaining warranty coverage only. The repair or replacement of parts or the performance of service under this warranty does not extend the life of this warranty beyond its original expiration date. THE REPAIR AND REPLACEMENT REMEDIES DESCRIBED IN THIS WARRANTY STATEMENT ARE THE SOLE AND EXCLUSIVE REMEDY. IN NO EVENT SHALL SEVEN MARINE BE LIABLE FOR ANY INCIDENTAL, SPECIAL, OR CONSEQUENTIAL DAMAGES, INCLUDING LOSS OF USE AND PROFITS. SOME STATES DO NOT ALLOW THE EXCLUSION OR LIMITATION OF INCIDENTAL OR CONSEQUENTIAL DAMAGES, SO THE ABOVE LIMITATION OR EXCLUSION MAY NOT APPLY TO YOU. 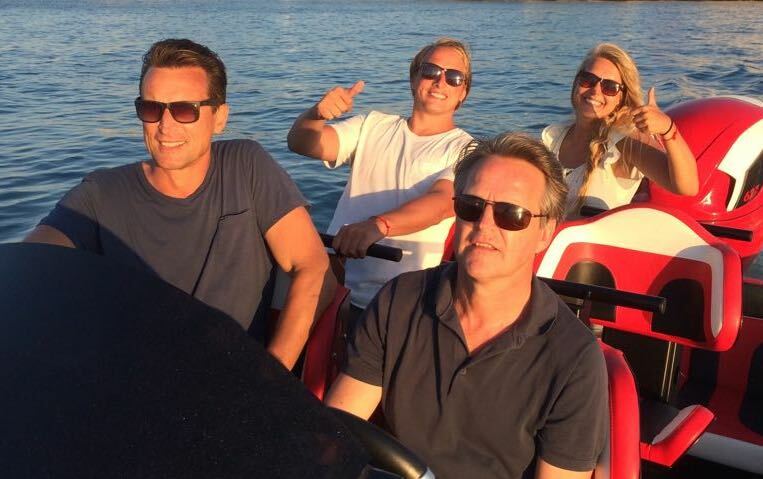 * Leisure-use is defined by Seven Marine as outboards or power packages exclusively intended for pleasure craft application, used only for the owner’s personal recreation, and are non-revenue generating. It excludes government, commercial, or business use, whether defined as income producing or for tax considerations. ** Commercial-use includes, but is not limited to, Seven Marine engines or power packages used for revenue-generating purposes, public or private waterway patrol, maintenance, or by government organizations for any use.